1. Quantity. 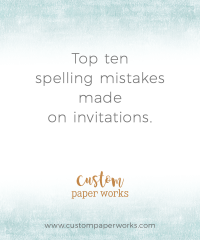 Be sure to include some extras for keepsakes and last-minute guest list additions. See a calculation formula HERE. 2. Format and Details. Are you in love with passport and boarding pass invitations as they are shown, or would you like to add a pocket-fold. Or do you prefer a traditional style invitation? Are you looking for a particular type of printing? Do you have a love affair with metallic, patterned, embossed or hand-made papers, or do you prefer traditional matte paper stocks? Do you know what type of embellishments you want – or would you like help figuring all of these details out? 3. Design. Do you want a traditional text-only design, or are you looking for artwork to adorn your invitation? 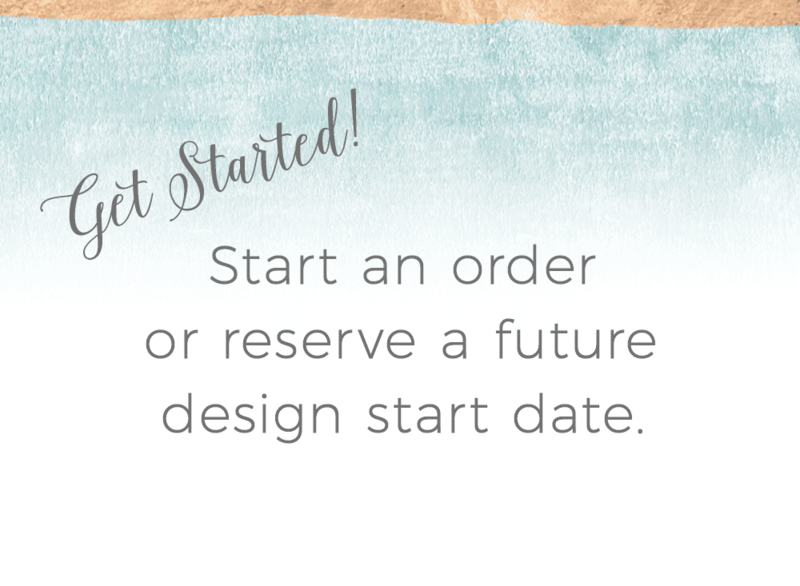 Do you already have a design in mind? Do you already have particular artwork you want to use? Do you already have your colors picked out? 4. Additional Services. 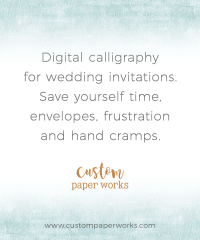 Are you interested in digital calligraphy (having the mailing addresses printed on each envelope) or custom stamps? Would you like to have them delivered fully assembled or would you rather put them together yourself? 5. Printed Accessories or ‘Extras’. Will you be needing programs, table numbers, menu cards, a seating chart or other printed items for your reception or party? 6. Your Budget, if it is a particular concern. 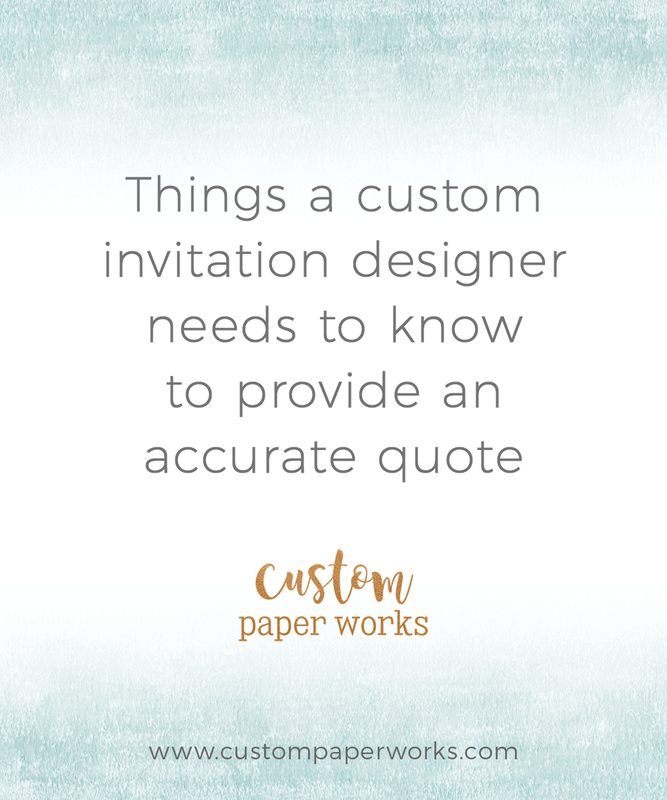 One of the benefits of custom invitations is that there are often several ways to achieve the particular look you want. To request pricing on invitations or other party stationery pieces such as seating charts, programs, table numbers, menu cards and more, contact me through the price request form.